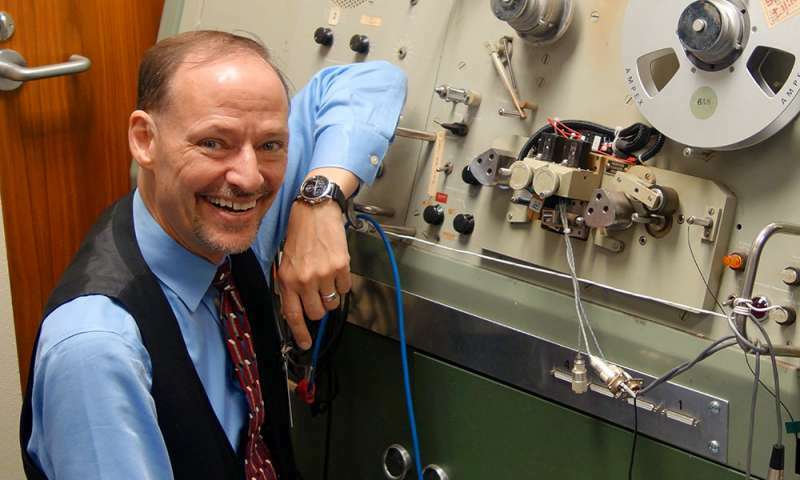 Dr. John Hansen and his team of researchers from UT-Dallas pored through countless hours of tapes from NASA’s archives with much more than preserving history in mind. (L-R) Dr. John H.L. 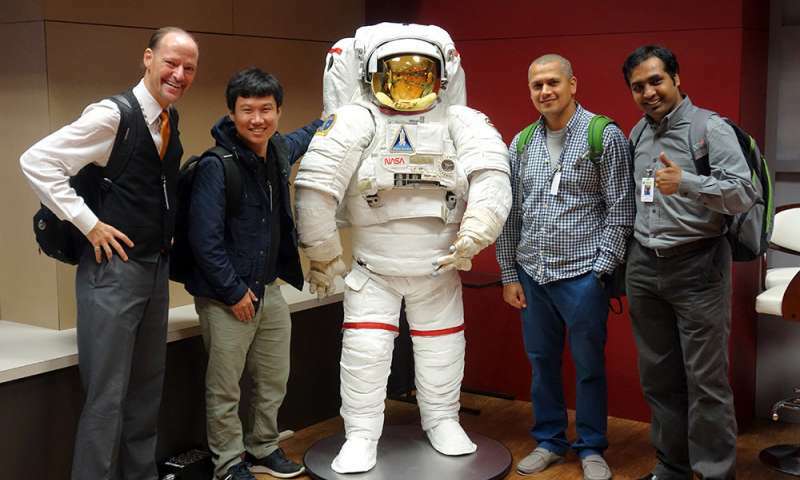 Hansen, Chengzhu Yu, Dr. Abhijeet Sangwan, and Lakshmish Kaushik pose with a model of an astronaut at Johnson Space Center in Houston. The four oversaw the project to archive thousands of hours of audio from NASA’s lunar missions. Researchers have digitized countless hours of audio tapes from NASA’s archives. 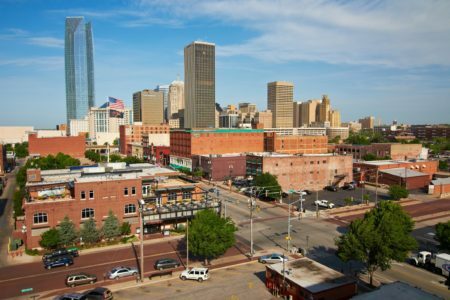 And the project is about much more than just preserving history. The recordings contain countless hours of workers at Mission Control and their support crews communicating with each other and the crews of the Apollo missions that went to the moon. The large-format audio tapes are on reels about a foot wide. The actual audio tape itself is about an inch wide. Each was recorded on a massive piece of equipment built just for NASA called a SoundScriber. Only two of the machines ever existed – both at NASA. They were capable of recording 30 different tracks of sound simultaneously from different sources at the Johnson Space Center during the missions. 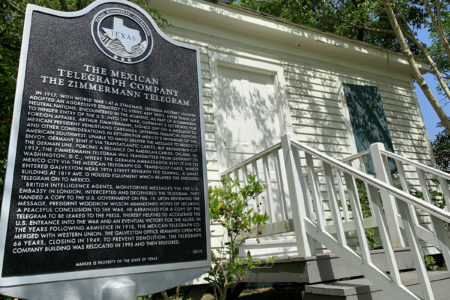 But, until recently, the tapes were in storage and not available to the public — until a team of researchers from the University of Texas at Dallas stepped in. Dr. John Hansen and his team had the idea to approach NASA to get copies of its Mission Control audio in hopes of using it for such applications as developing speech recognition software, or studying how groups communicated. However, they hoped the recordings had already been digitized. They had not. But a project to do just that was born. Fortunately, one of the SoundScriber machines still worked. But there was a problem: there were countless tapes that each ran for 14 hours, each with 30 different tracks. And the machine could only play back one track at a time. Multiply that by the number of Apollo missions and it would take an eternity just to capture all the audio digitally, let alone study it. “It would take you about 170 years to digitize just Apollo 11 if you were doing it 24/7,” Hansen said. So his team paid to modify the machines so they could play all 30 tracks at once, meaning they were able to capture four missions in just about three months. Then, the team developed software that would identify different voices, sort through all the jargon they were using, navigate the Texas twang that some speakers possessed, and transcribe what they were saying. 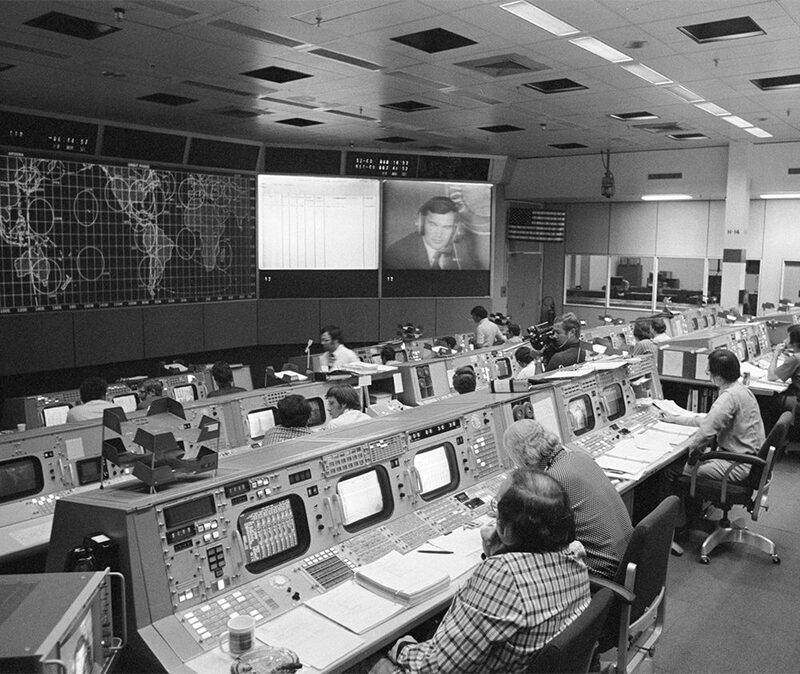 Mission Control as it looked during the Apollo years. Why was that so important? 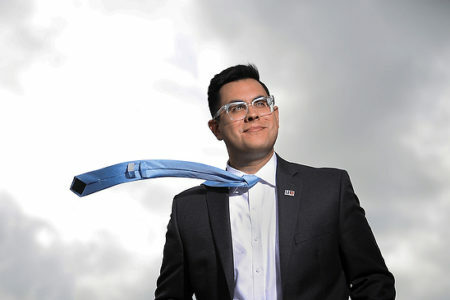 Researchers like Hansen and his team are often in search of lengthy recordings of people talking, who are trying to solve problems in complex settings. That’s because most speech recognition technology works best in settings where one or two people are speaking to a computer in a relatively quiet setting. The NASA tapes would give them some sample audio that was much more complex, full of jargon, and voluminous. So far, the team has digitized audio from Apollo 1, Apollo 11, most of Apollo 13, and Gemini 8. Some of the audio from Apollo 11 – including the crew’s landing and Neil Armstrong’s first steps on the lunar surface – are available for the public to listen to online at a site called Explore Apollo. Beyond the technical aspects of the research, Hansen said he’s happy to be able to shed some light on the people of Mission Control – the heroes behind the heroes. 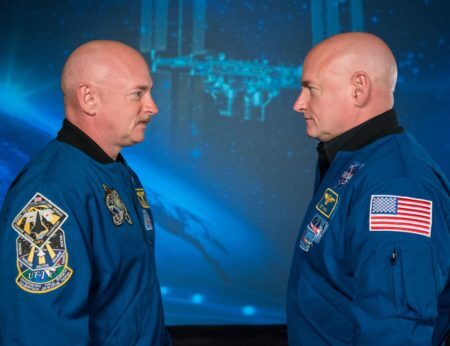 “We think of the heroes being the astronauts, but if you think of all the people behind the scenes – how they had to work collectively together – requires an enormous commitment,” he said. In the audio above, Houston Matters producer Michael Hagerty talks with Hansen about the project, and we hear some samples of the audio preserved.